The moment I got the book on hand, I started to read on those that I find so relevant to what I am facing right now. 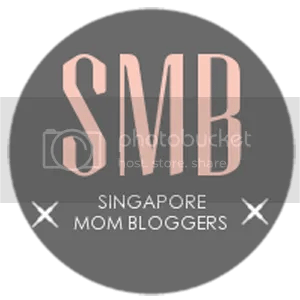 The mother (Carol Loi) who wrote about My Journey as a PSLE Mum was an amazing mum. Instead of pressurizing her girl into more tuition and homework, she did 3 things that I really admired her on! The first, she planned for a family trip with her daughter attending some youth sessions on her own and she made new friends. The second, which I really hope I can do it too, she ‘dated’ 12 inspirational ladies to have a leisure chat with her girl. There was a principal who shared about transition in teenhood, a social entrepreneur who encourages youth to make a positive difference, a remarkable church pioneer who shared how she juggled church ministry and her sick husband, and many more. The third activity she planned was a date with herself: a mum-daughter staycation date. I admire this mum very much for what she had done for her daughter. Which mum could have done these things in the midst of PSLE (Primary School Leaving Examination)??? All because she wanted her girl to learn about life. There was another story from Mummy Wee (Michelle Choy) who shared her story of Navigating The Wild Wicked Web. Get the pun? Through her story on how she handled her 6 children with learnings from the first 2 kids on mobile phones, I learnt that rules are important before the child receives his first mobile. There are a few apps that are popular must-haves with teens and one of them is very new to me: Snapchat! Enjoy fast and fun mobile conversation! Snap a photo or a video, add a caption, and send it to a friend. They’ll view it, laugh, and then the Snap disappears from the internet. According to Mummy Wee, anyone can still store the picture by doing a screenshot or using another device to take a photo of that picture. So, nothing in the internet is safe! Another mum (Hwee Goh) shared about The Truth About Boys and Girls. What she shared on the differences of boys and girls’ reactions to instructions from the mother resonate well with me. And really, boys are so uncomplicated and easy to live with, and girls are more independent and vocal. Well, I had a good laugh at her stories on dealing with the 2 different genders. And there are many, many more good stories from these mums whom I have learnt lots from. You will find this book an easy read with stories that resonate with your own. Best of all, you read how others do it and the challenges they face may just ring a bell to you to resolve your own parenting issues. This book is available online here! or check out their facebook page! I have 2 books to give away to my readers. 1) Leave your email address on this facebook post and … that’s it! I will choose 2 winners randomly and announced next Friday 29 May 2015. 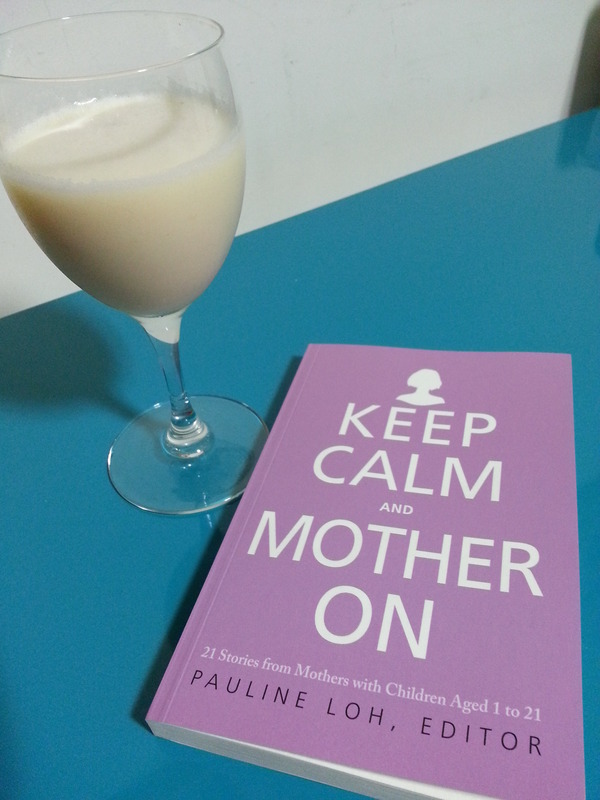 This entry was posted in Parenting issues, Reviews and tagged book review, inspiration, Inspirational, Keep Calm, Motherhood, mummy diaries, Parenting, Review. Bookmark the permalink. Congratulations!!! That is wonderful, and what a great topic!! 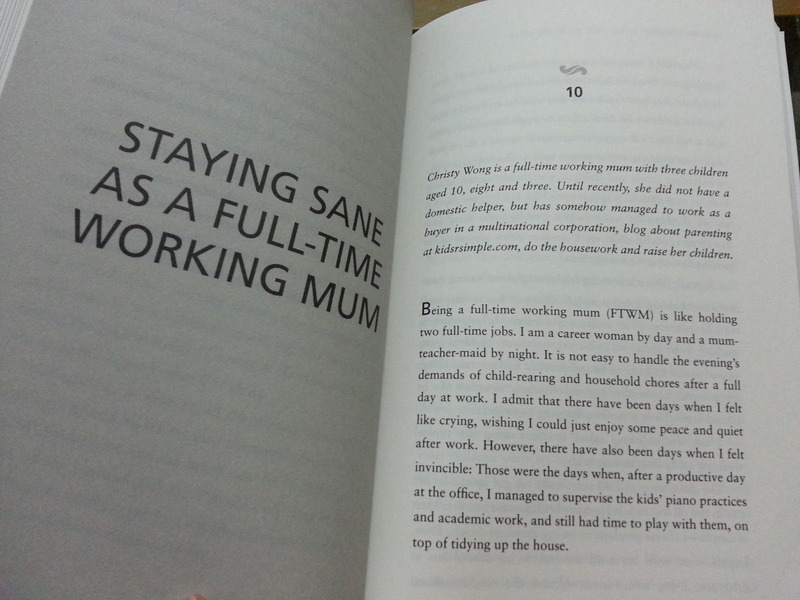 I know there are so many moms out there that can relate to staying sane being a Full Time Working Mom! I’m so proud that you decided to participate! !